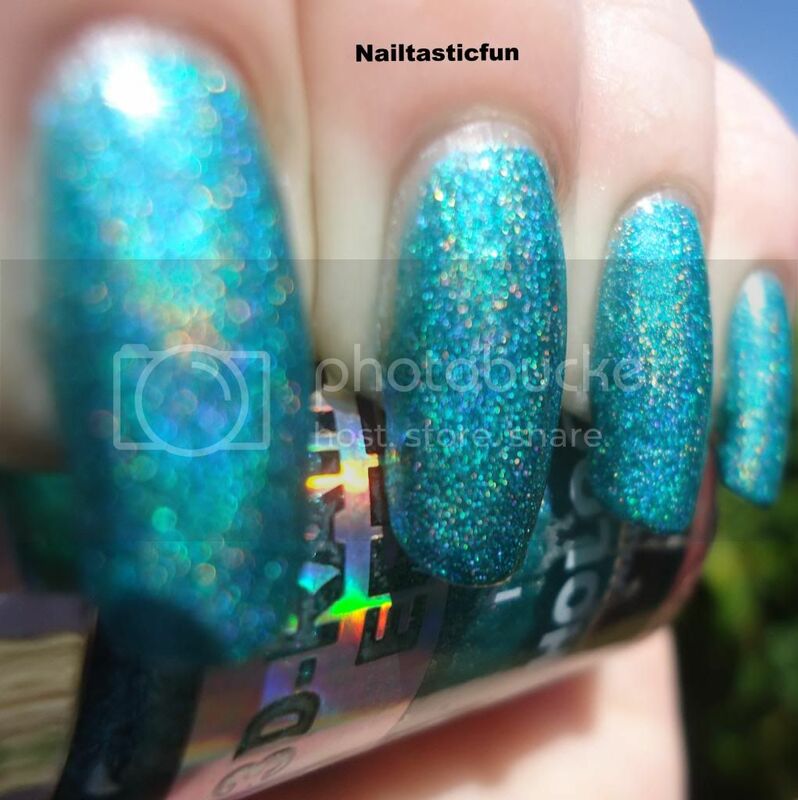 nailtastic fun: NABI holo's in "teal" and "mocha"
NABI holo's in "teal" and "mocha"
So, is anyone else just sweating?!?!?! OMG! IT has been SO HOT here in Vancouver, Canada these last couple of weeks...and I know, I know...girls are supposed to "glisten" not sweat...well I am all woman but I am also all sweat!! LOL! I don't complain though... I mean, people complain when its winter and cold, or fall and raining....so, it's hot, I am sweating... that's all I am saying...Could be worse, I know. I am just inside, windows open and the fan going (no air conditioning) so at times of the day, it's better off just staying inside:) Which is what I am doing today and glad that I have two great polishes to share with you guys. And this is where I usually describe each polish but the names of them describe them. 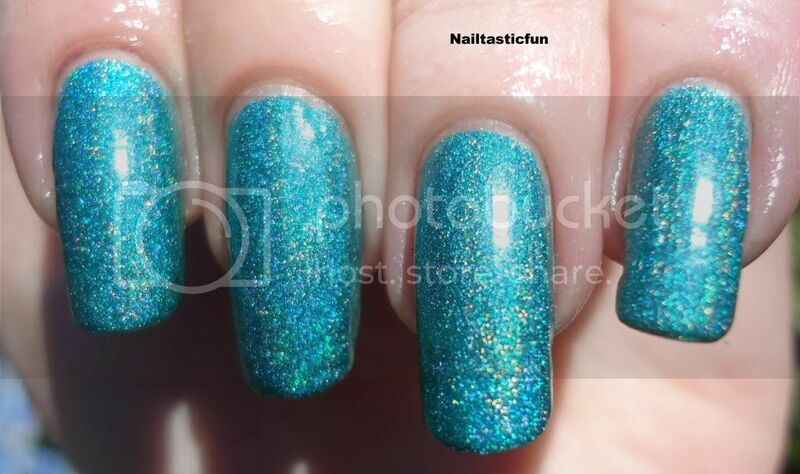 "Teal" is a dark teal holo" and "Mocha" can be described as that color but I think it is more on the pink/orange side. 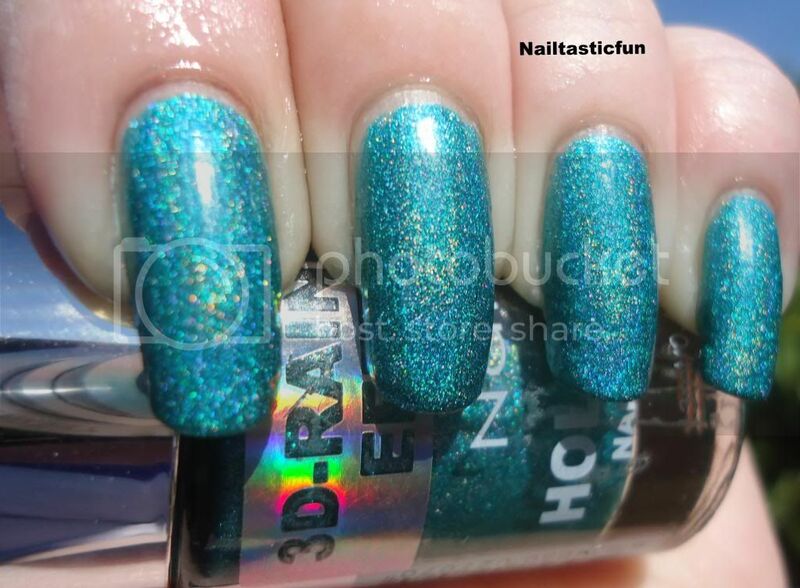 For both, I first applied my NFU-OH "aqua base" ( I first didn't buy this when I bought my NFU-OH polishes. For the price of it, I figured, I could just get another holo. I thought it was just like wearing a base coat. Something I never use and you can do without. However, I experienced awful balding(blank spots when you apply the polish. Looks like you missed spots when you put the polish on) with them so I went ahead and bought some and it worked wonders for my NFU-OH polishes so now, I just always put it on before I apply a holo, and added 2 coats, then a top coat followed by another coat. 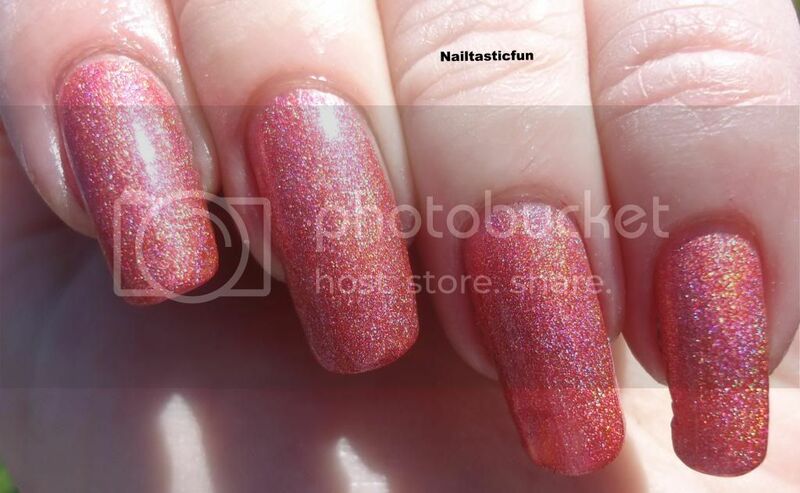 I am always worried about adding a top coat to my holo's because I always hear about it dulling your holo's so I do this. I apply my polish until it looks like I want it to. 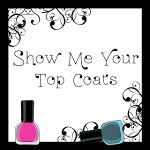 Add a top coat and then add one more coat of holo over it to avoid dullness, if there is going to be any. I don't know, I just always do this. OK..seems like a lot of writing here...Lets get to the good stuff!!!! I love how it also looks when not as much sun is on it and it looks darker. UGH!!!! JUST LOOK AT THIS COLOR!! Isn't it just gorgeous?? I mean, just look at it!!! Look right where the sun is hitting it, see the rainbow flair??? TO me, even thought it is called "Mocha" which makes me think of a brownish color, this is, as I said, more on the side of pink/orange and a touch of mocha?? 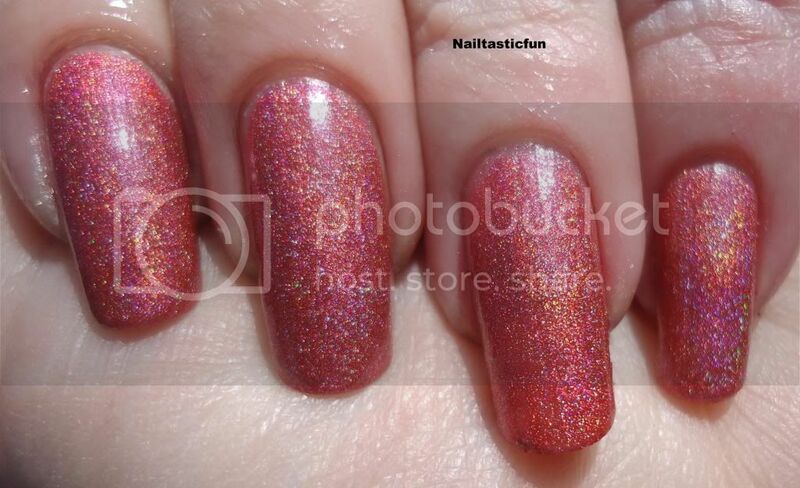 Just like all gorgeous holo's that rainbow flair is always there and it is full of holo goodness!!! So, there you have it. In my opinion, even thought these are "cheap" in the sense that they didn't cost a lot of money , at all, they are just as good as my 2 Layla holo's I have. We do not have the Layla holo's yet but I have all their magnettics( a fad i got into and now never wear) and all their mirror effects and out here, they are not cheap. (14.99$ each to be exact) and I know the holo's, if we get them, will be as much, if not more. So these are a great alternative. I have some I got in swaps so that is how I am able to compare them. 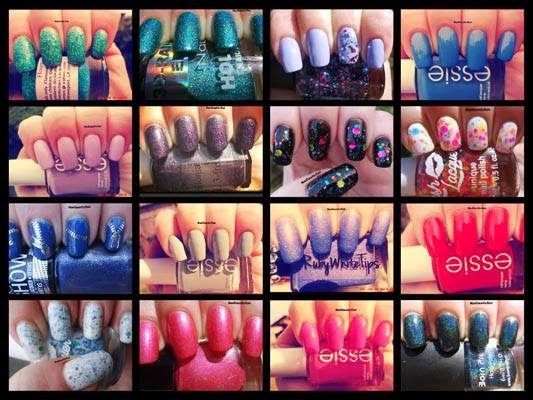 And I have tried indie holo's and other brands and these measure up. They really do. I think it is just great to have the option out there and they have a huge selection. Of course, I plan of going back very soon and getting more. So, as always, love to hear from all of you. 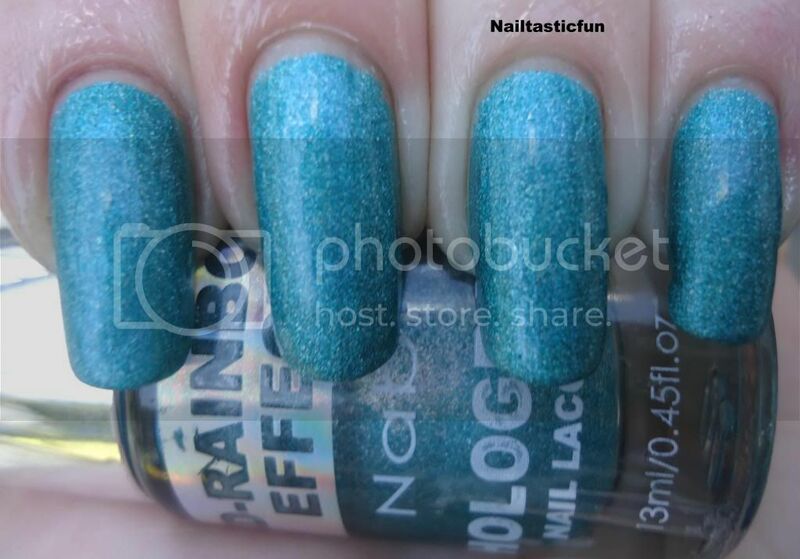 Do you own any "Nabi" polishes? Holo or other? If you so, which ones?? 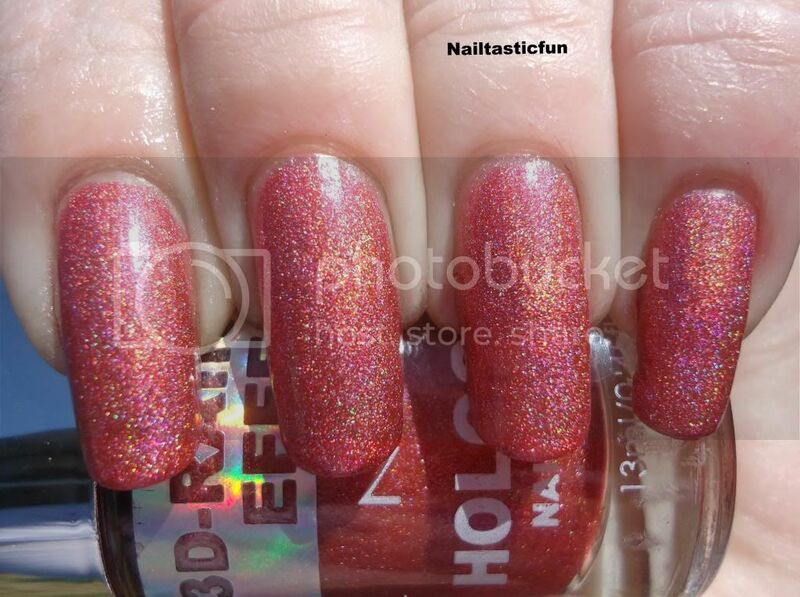 Or have you tried their holo's, what's your opinion? Did you like them? 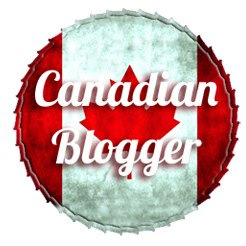 Thanks for reading and looking at my post. 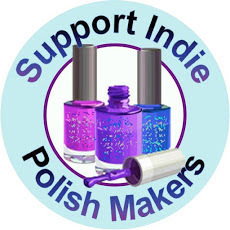 *all polishes showed in this post were purchased with money from my own pocket. None were given to me for review and all opinions are my own.